Award-Winning LESLIE BUDEWITZ on Chicken Jokes and Persistence + GIVEAWAY! Please welcome Leslie Budewitz! 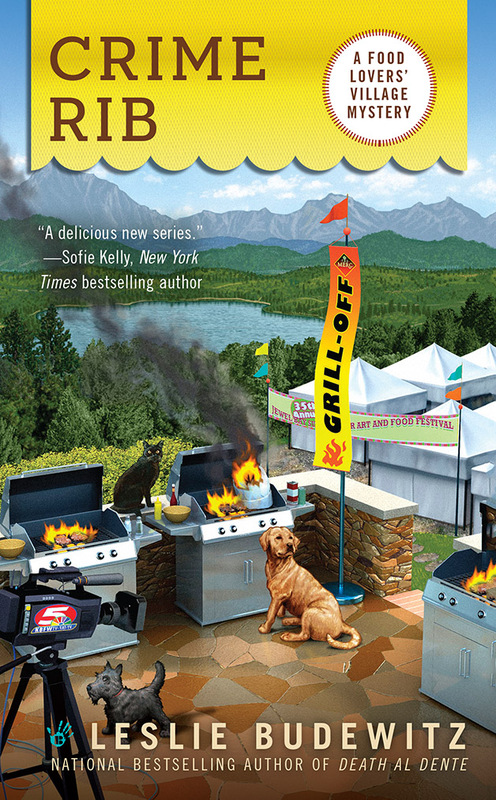 She’s on such a great roll with her Food Lovers’ Village Mysteries (Berkley Prime Crime) series. The first novel in the series, Death al Dente, won the Agatha Award for Best First Novel. And her second novel, CRIME RIB (don’t you love the titles?) will be out on July 1st! Leslie chose to take our Deb interview. And, she’s giving away a signed copy of Crime Rib. See details below. Welcome, Leslie! First, tell us about one book that made an impact on you. On a snowy day when I was about ten, my mother and I went Christmas shopping in downtown Billings, Montana. Although we were frequent library users, we didn’t often buy new books. We pushed through the double doors of paradise—a book store. Near the front stood a table of children’s hardcovers and my mother let me pick one. Calico Bush by Rachel Field was originally published in 1931, nearly 40 years before I found it. Marguerite is a young French girl orphaned on board ship to the New World in 1743. With no other options, she’s re-named Maggie and “bound-out” as a servant to a pioneer family heading north to the Maine coast. She experiences both love and hardship as she adapts to her new life. It’s a beautiful book that took me to an unfamiliar time and place, and served as a guide post in my own adolescence. Years later, I worked in the same bookstore. Walking in that front door always sent me back in time. Calico Bush is still in print, and I treasure every chance to share it. From working in a book store to having your books in book stores — thrilling! The road to publication is twisty at best–tell us about some of your twists. When Sir Paul sang about the “long and winding road,” he could have been referring to me and publication. My first manuscript made the short-list for the St. Martin’s/Malice Domestic Contest for Best Unpublished Traditional Mystery—in 1997. While shopping it, I finished a second manuscript with the same character—a young woman lawyer in a small town on an Indian reservation in western Montana. Guess what my life looked like at the time! Both got interest but no takers, although one agent taught me a lot about revision and increasing early tension. The third book reached several editorial boards only to be turned down. My agent decamped to a new firm, leaving her mystery clients behind; no one else in the office had room for me. After a week-long intensive workshop with Elizabeth George, I wrote a psychological suspense novel set in Montana with a female sheriff’s detective and a male lawyer on the trail of a killer targeting single fathers. Found a new agent who left the business halfway through submissions, stranding the book. In truth, the rave rejections half killed me. I started a historical novel about a woman driven to paint in a time and place—eastern Montana ranch country in 1900—when a woman was a wife and mother. Started it twice. I hope some day I’ll know how to write it. Wrote a proposal for a writers’ guide to using the law in fiction. Third agent, more rave rejections. Two years later, I sold it myself. Books, Crooks & Counselors: How to Write Accurately About Criminal Law & Courtroom Procedure was published in 2011 by Quill Driver Books—which had turned it down several years earlier. The village of Jewel Bay closely resembles the town where I live. A local shop owner is convinced that the owner of a shop in the book is based on her. “She’s a flashy blonde who dates hunky cowboys,” I’ve heard her tell customers. I checked the book: no hair color given, and if she’s ever dated a cowboy, it wasn’t on the page. But she does favor close-fitting dresses and drips diamonds and sapphires. Needless to say, she went blond in the next book. And as for the cowboy, well, stay tuned. I can hang a picture centered and level without measuring. Last but not least, share something that’s always guaranteed to make you laugh. Chicken-crossing-the-road jokes. Just writing that makes the corners of my mouth curl up. I finally had to put one in the third Food Lovers’ Village mystery, out in 2015. I nearly fall on the floor thinking about it. My editor will probably say “huh?” and delete it. But I’ll be laughing as I put it back in. Thanks, Leslie! What an inspiring story about your twisty journey to novelistic success! So, friends, what’s guaranteed to make you laugh? Bonus points for a chicken-crossing-the-road joke that Leslie has never heard! GIVEAWAY! Comment on this post by noon EST on Friday, July 4th, to enter the giveaway for a signed copy of CRIME RIB. US and Canada only. Follow The Debutante Ball on Facebook and Twitter for extra entries—just mention that you did so in your comments. We’ll choose and contact the winner on Friday. Good luck! 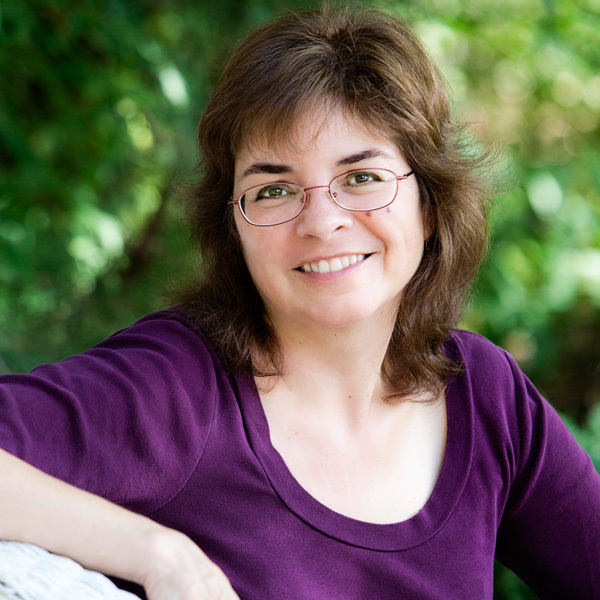 Leslie Budewitz is the national bestselling author of Death al Dente, first in the Food Lovers’ Village Mysteries set in northwest Montana, and winner of the 2013 Agatha Award for Best First Novel. Crime Rib, the second in the series, was published by Berkley Prime Crime on July 1, 2014. Her Seattle Spice Shop Mysteries will debut in March 2015. Leslie blogs for writers at www.LawandFiction.com/blog and at www.KillerCharacters.com on the 27th of the month. Thanks for posting with us today, Leslie! Hope to meet you on the mystery conference trail sometime. I love the creative titles. I follow Debutante Ball on facebook. Thanks for joining is at the Ball! Wish I could find , or even remember the best every chicken crossing the road joke, that was on Facebook a couple of months ago, but it seems to be gone from everywhere that I saved it. Must be a national security thing since it’s been removed from everywhere , including my mind. Ah, but I’ll do better remembering the title of this new book if I get to read it!! Food contests are great fun, without dead bodies are the best though, unless you’re writing a cozy!! I follow on Facebook and e mail. Good rainy afternoon to you, Debs and friends! Sorry to be late checking in — I had family in town for last night’s book launch party, and they just left. Then I swung by the gallery where we held the party to say my thanks and pick up all the beautiful garden flowers friends brought me! Delighted to be here — and yes, chicken jokes get you extra points! Leslie, hi! I love you story of persistence. I hadn’t realized you did a workshop with Elizabeth George. She was my first-ever for-real workshop leader and she had a profound affect on me. Where did you do your workshop? Me, through Maui Writers Conference. In 1999, I attended Elizabeth’s Mystery Intensive at Book Passage in Corte Madera. Life-changing. Plus the day after I got home, I met Mr. Right. Great week! What an incredible journey, Leslie. You have very much earned your place among your fellow mystery writers and better yet, award-winners. Congrats on all of your success. Thanks for being at The Ball with us today! I have read several reviews of Leslie’s books now. I will be getting both Death al dente and crime rib. Thanks! Thanks for all the lovely comments — I’ve enjoyed visiting with you! And since the contest continues all week, I’ll be checking in again, so keep ’em coming! I’d love to read this! It sounds really good! Thank you for the chance! I follow on Facebook (Carol Mintz0 and Twitter (@CarolAnnM). Thanks, Jenne and Carol! Natalya, I’ll be right over! This sounds like a great book. Thanks for the giveaway. I am also following the debutante ball on Facebook and twitter.